First, an introduction to Lumi-Oxy. It is otherwise known as PAT- Personal Aesthetic Technology. 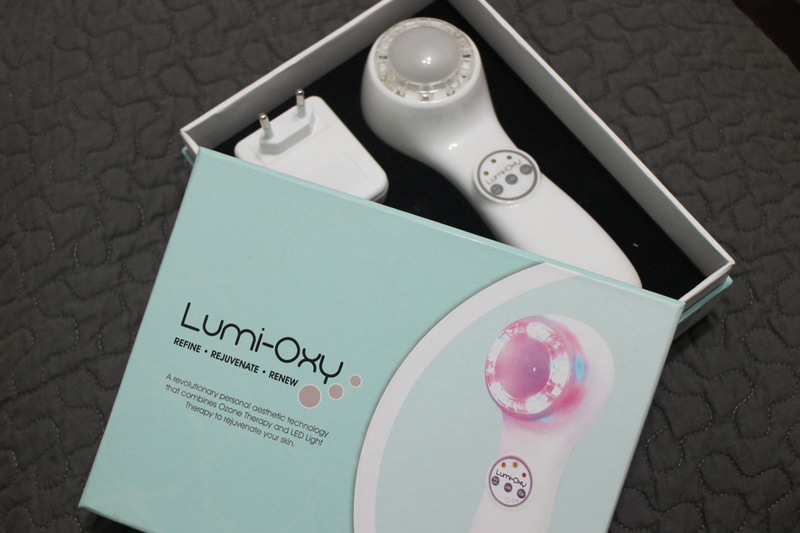 This is a beauty device, no doubt, and it comes power packed with the ability to revolutionize the way we go about our skincare! How? You might ask. 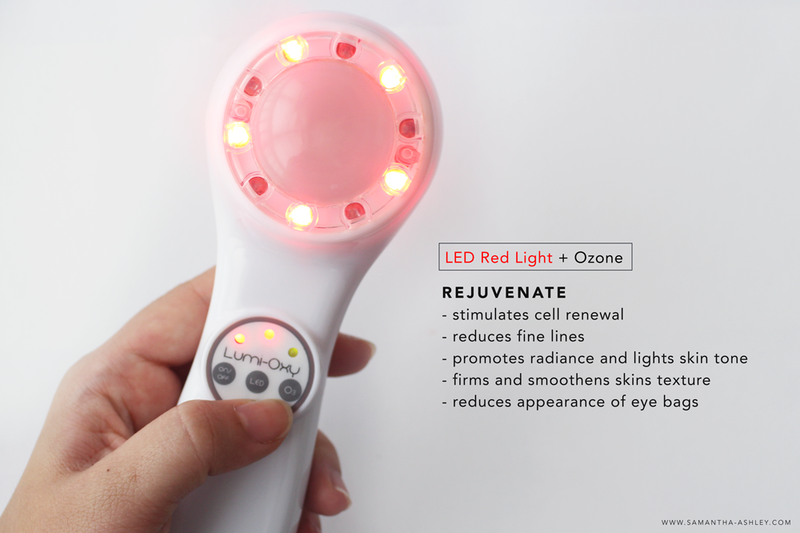 Well, it not only introduces the idea of NASA's Red and Blue LED to treat our skin, but even uses Ozone Therapy, that in tandem with the lights, can help to tackle issues of PORES, PIMPLES, PIGMENTATION and WRINKLES. The Ozone Therapy (otherwise known as O3) is the most important thing to note about this as it doesn't use just normal Oxygen (O2) to treat our skin! O3 is actually the NANO version of Oxygen and thus penetrates faster into our skin. I bet you can only begin to imagine what this could do for our complexions, but you no longer need to. Seeing is now believing, so we'll show you more. Simply plug the product in then turn it on. Remember to actually have the product PLUGGED IN already before turning it on! Do not turn on the power source of the wire first before plugging in. Please practice electrical safety as this as a high powered device. Also, clean the bulb that you see in the middle each time BEFORE and AFTER usage. Simply use a cotton pad/cloth that is lightly sprayed with water to clean over the surface. Do not douse the device in water or submerge it as there are tiny gaps on the area outside the bulb which can enter the device and spoil it. Do not use the device with makeup on too, because your makeup CAN be absorbed through those gaps as mentioned above and cause your Lumi-Oxy to have a film over the bulb that can never be removed! Be it that your BB Cream or Sunblock has skincare benefits, they are still considered more of cosmetics and should not be used. 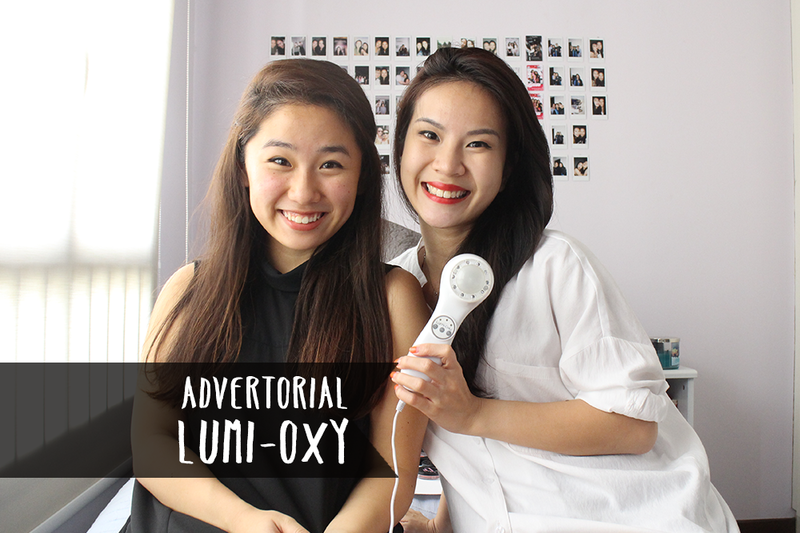 The Lumi-Oxy should be used with your SKINCARE (eg. serums/moisturizers) and NOT MAKEUP. Now that we've cleared the air, let's move on to functions! The Lumi-Oxy comes with different functions and ways of usage - hence the three types of buttons you see below. The first one is to turn the device on, the second to control the type of LED light/color combination, and the last one to control the level of O3. You can use option 3 to enjoy both the benefits at once for maximum effect (if your skin is generally clear - read on to understand why), option 4 to target different areas and problems at one go, and option 5 on the eye area. LED Red Light aims to REJUVENATE and LED Blue Light aims to REFINE. LED Blue and LED Red Light Therapy has been in the market for awhile actually. They're both great treatments because they surpass the mere usage of products that sit on skin , and actually target issues that are beneath it! LED Blue Light is known to help in the area of REFINEMENT. The wavelength of the LED Blue Light is shorter and hence treats problems on the surface, like pores and pimples, better. When used with the O3 function, it can help purify the skin UPON CONTACT, which means acne will and can be cleared up much faster! Blackheads can be lessened and pores can shrink! Yes, that happens! This is because the LED Blue Light helps reduce sebum production and strengthens the skin's own anti-inflammatory strength too! 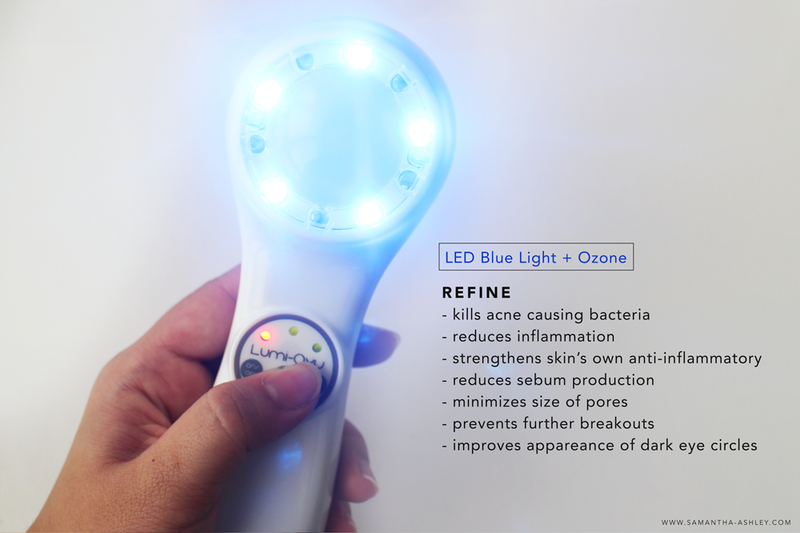 This means that, should you get an allergy or rashes, you can use the LED BLUE LIGHT + O3 to cure it! 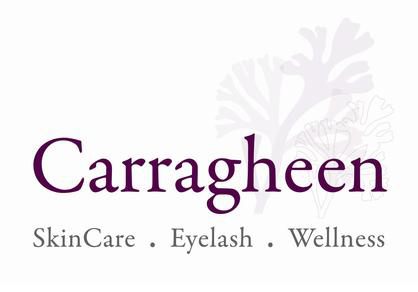 They work hand in hand to help rid skin of problems. You can also use the LED Blue Light to help reduce the appearance of dark eye circles - but do not use it with the O3 function for the eye. Since the O3 treatment is strong in its purification purposes, it can be drying which will be bad for the eyelids which are delicate. 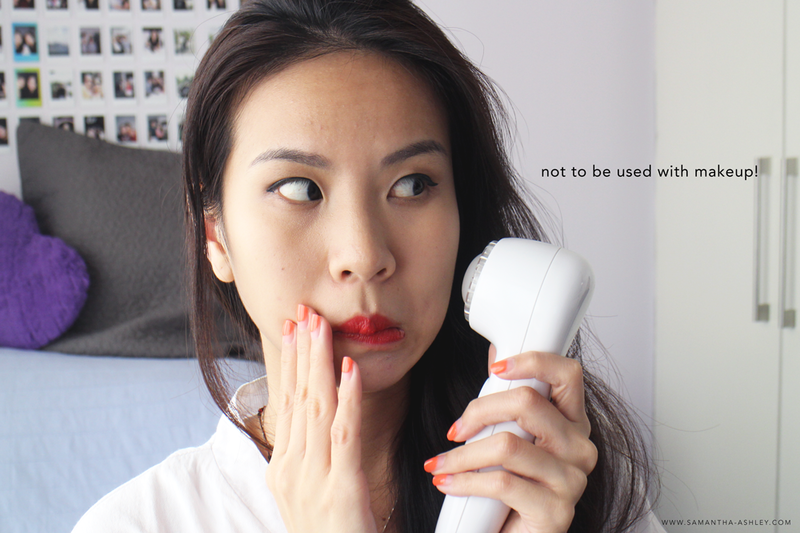 If you have an oily scalp, you can also use the Blue Light with O3 to help! 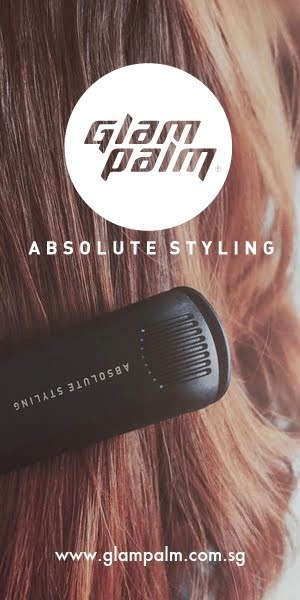 Simply massage it onto troubled scalp areas once each day or a few times a week, together with your favorite hair tonic. As mentioned, LED Red Light helps in REJUVENATING. It stimulates cell renewal and collagen growth so that radiance is improved in our faces and fine lines are visibly reduced as well! You know that natural blush you're looking for? It's totally possible using this light! Your skin will also be firmer and smoother. We will show proof further below, but this function of LED Red Light + O3 has such powers of tightening your face/prevent sagging to an extent where you can see a difference almost immediately! Just 5 minutes each time on your area of concern and it will help! You can also use this to reduce the appearance of eye bags, just as the LED Blue Light helps with dark rings. Once again, do not use the O3 function near your eyes as it will cause dryness. To sum it up, the LED Red Light helps increase radiance the way SKII promises to whilst slimming and firming your face up! Who could ask for more? 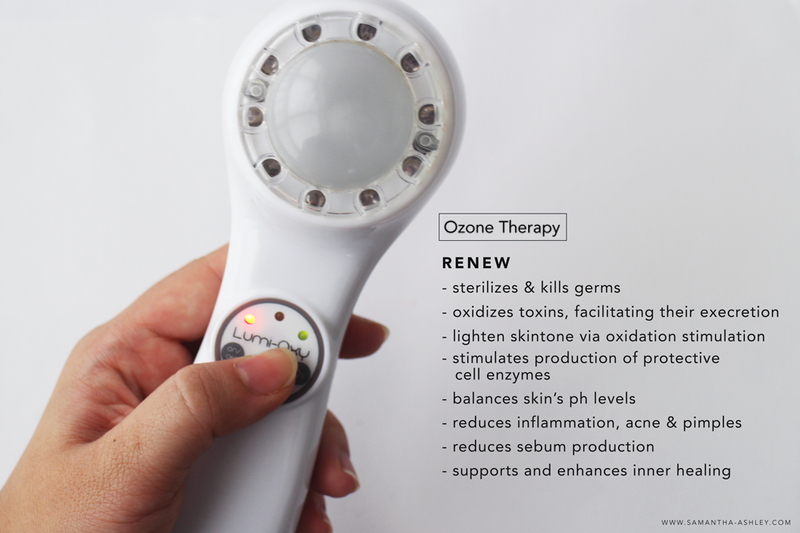 Last, but definitely not least, the amazing Ozone Therapy function. It's just got to be the best thing ever. It kills and sterilizes germs so well, that it can even CLEAN your bulb if you just leave it on for about 10-20 seconds before using it! Amazing! Due to the enriched Oxygen (O3) which is penetrated into your skin, your complexion is dramatically improved due to inner healing. The oxidation stimulation encourages production of protective cell enzymes which reduces inflammation, acne and pimples. Your skin tone will also be naturally lightened! 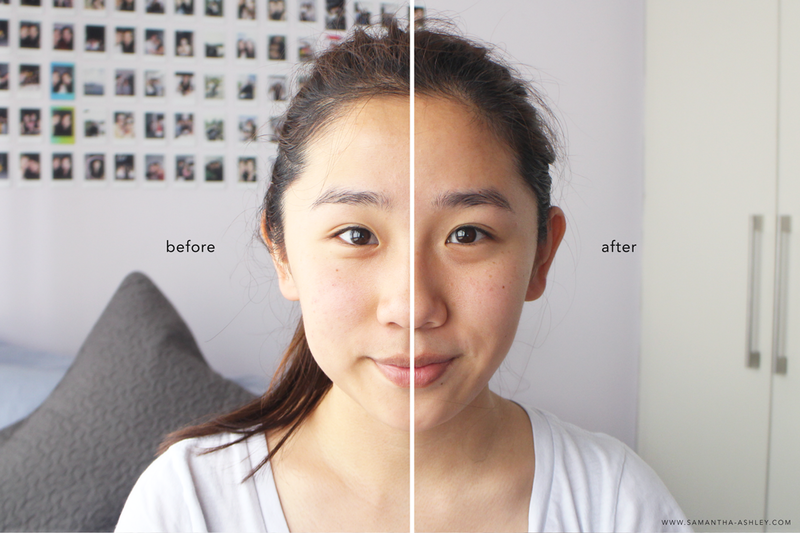 This doesn't mean whitening, but that your skin tone will become more even. 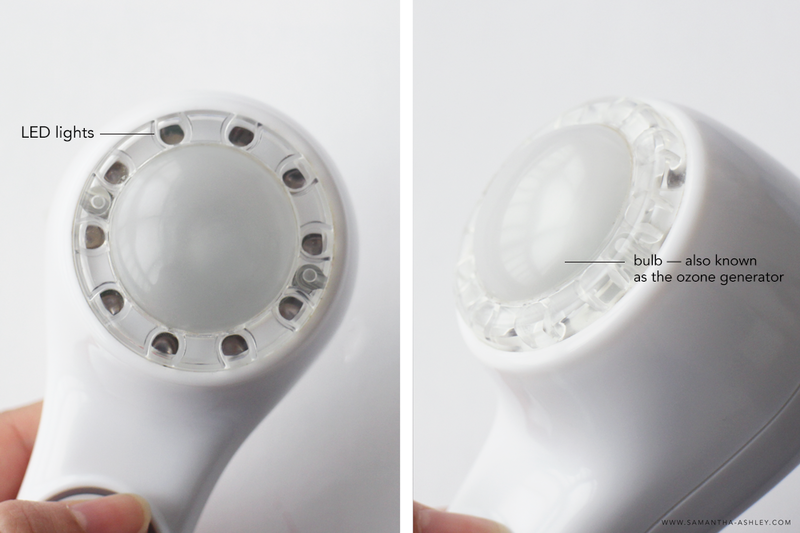 With this function on, you merely have to place the bulb over a specific pimple, even a headless one, for 3-5 minutes and you can see a difference in days where you usually had to wait weeks! This function personally has helped me a great deal, and you can see why below. I recently suffered from a facial allergy recently which caused all kinds of redness and spots to appear on my face. 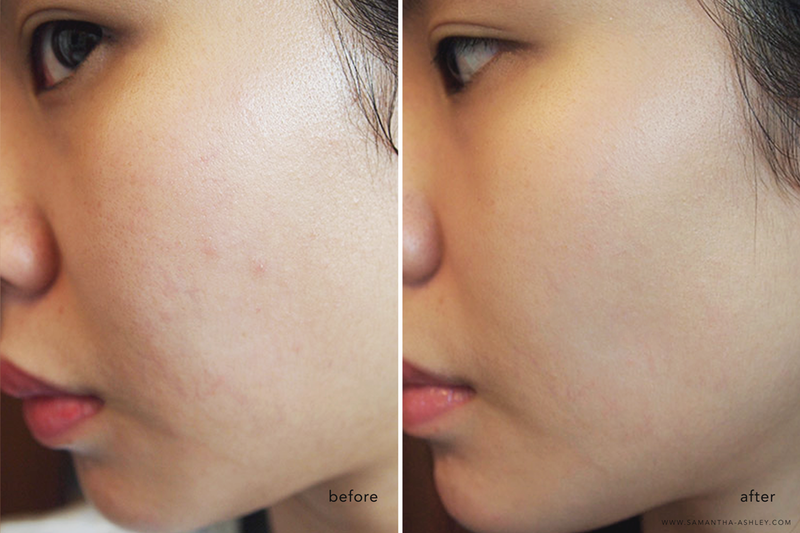 Since my skin normally takes AGES to recover, and I was personally told it might take me a month for those dreaded blemishes to disappear, I was SHOCKED to see these results after 2 nights only! As for Ashley, can you just SEE the firming effects!!? Okay because if you cannot, I do not know who can. Just LOOK at it! She's been complaining so often about her sagging skin and how round her face is - and I got to admit it drives me insane. She's even wanted fillers which I've constantly told her she doesn't need to: and you know what!? She doesn't when she has the Lumi-Oxy. If you have the same gripes she has, then this could be an option for you too! If you want to hear more of our thoughts and to see this device in action, do watch the video below, and we hope you enjoy it! If you want to get a chance to try out the Lumi-Oxy, here's your chance! Simply visit www.clozette.co/lumioxy and answer a simple question! :) All the best! Haha omg you two are SO CUTE <3 Love your review! omg thanks for this review! i can't believe it took me this long to discover this!